Transfer and storage of files. 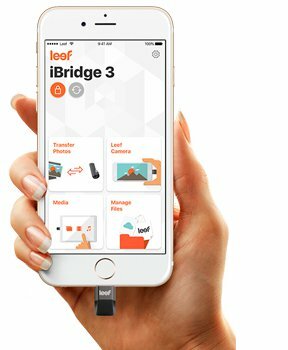 Free up memory on your iPhone or iPad, transferring photos, movies and documents to Leef iBridge. Backup. Automatically copy contacts and photos for safe storage. Playing media files. 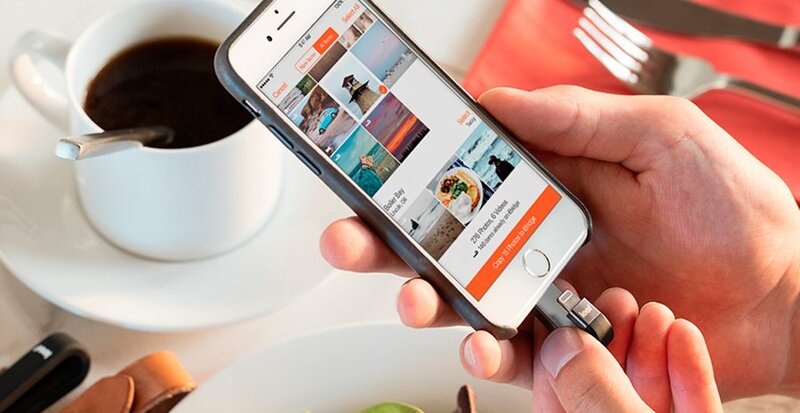 Take your media library with you and play on your iPhone / iPad in a convenient place. Security. Create a password (or use the Touch ID) with LeefLock to protect all data in case the device is lost or stolen. Improved the application interface, the fonts became more saturated and thicker. Large headings on the left top, tiled interface and white background. And also a simple and intuitive design of icons. 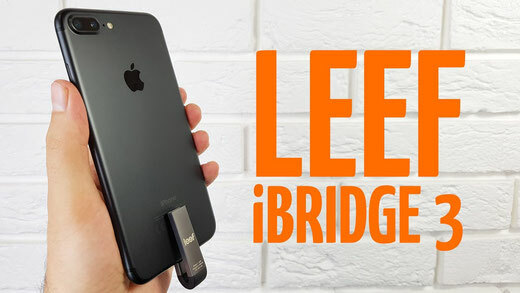 In order to take advantage of the drive, first of all, you need to connect Leef iBridge 3 to the iPhone or iPad. Then download the corresponding free application to optimize the operation of the device and facilitate the work with files. And you will be able to easily and conveniently transfer, save and use the information you need. The speed of data transfer has increased due to the use of protocol 3.1. The interface of the application is also optimized (the new photos are displayed first). Clever LeefLock protection will help protect all user data. Apple Touch ID protection application (fingerprint or PIN code). Quick and intuitive setting. Deeper integration with cloud services. 4 cloud services are supported: Dropbox, Google Drive, iCloud, Box. Improved management: the cloud is integrated into the file manager of the application, convenient movement of files between iBridge and cloud services. Comes with an original cap with a loop for the key fob. The materials are stronger and stronger (zinc alloy + thermoplastic elastomer). 20% more compact.